Sometimes it’s best to just sit back and feign surprise, as though the lead up to today’s big Google event wasn’t leakier than a rusted out old sieve in a rainstorm. After making several brief but notable cameos on international retailer and carrier pages this week, the company took to the stage at today’s Pixel event to reveal the titular handset – positioned by the company as its largest hardware reveal in years. The base-level (the plain ole Pixel) looks like all of those leaks suggested – which is to say fairly featureless on its face, not dissimilar from an iPhone, only devoid of a physical button in that large stretch of bezel beneath the display. As anticipated, the Pixel will come in two sizes, the standard 5-inch(with a 441ppi pixel density) and the 5.5-inch XL (534ppi), both of which are encased in Gorilla Glass 4). To be fair, the handset is arguably more “L” than “XL” by current standard. The rear of the device is a combination of glass and metal with a fingerprint reader smack dab in the center, along with an antenna band along the bottom and Google’s new “G” logo along the bottom. Oh, and as noted by the company at the event, there’s “no unsightly camera bump” back there. Though, bump or no, the company is convinced that it’s got a killer camera here. The Pixel received an impressive 89 from DXOMark’s camera benchmarks. “This isn’t only the best smartphone camera we’ve ever made,” the company said on stage, “it’s the best smartphone camera ever made.” The hardware features a 12.3-megapixel rear camera (with an f/2.0 lens) and 8-megapixels on the front. Google showed off the Pixel’s prowess in lowlight situations, helped along by the camera’s 1.55 micron pixels. A Smartburst mode, meanwhile, is designed to take several shots in quick succession, while the Lens Blur feature offers a similar bokeh effect as the one found on the latest iPhone. 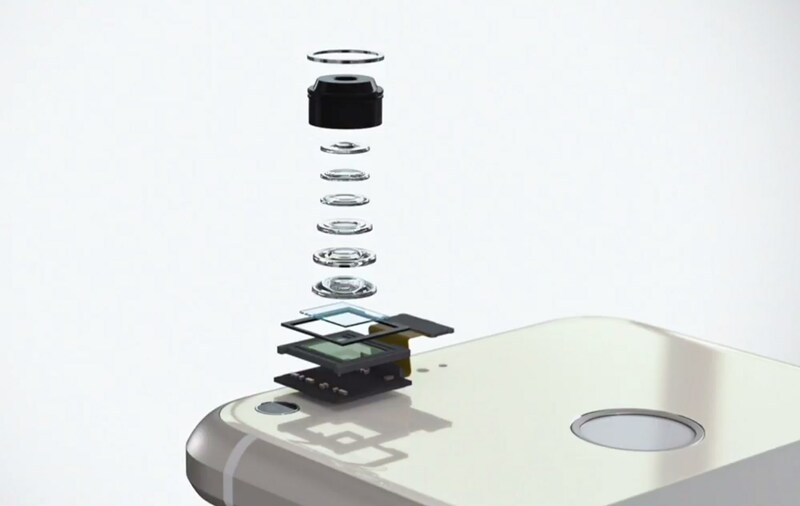 The phone is also capable of capturing 4K video at 30FPS. 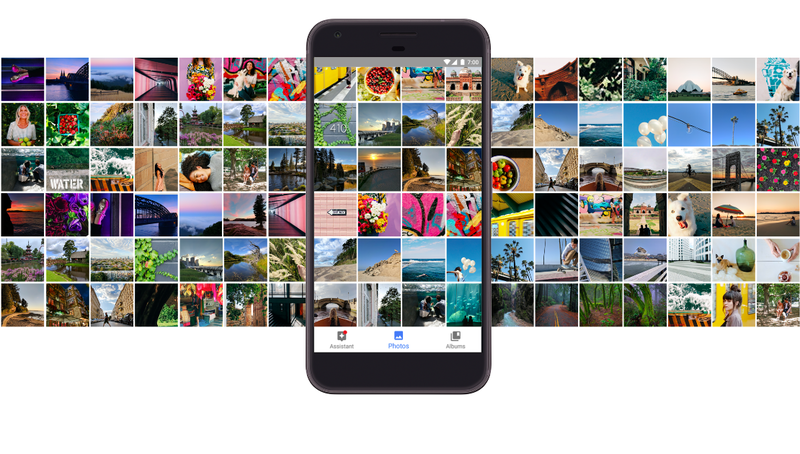 Those who pick up the Pixel will also get their hands on free unlimited storage on Google Photos with photos shot at their original resolution, while the new Quick Switch Adapter hardware makes it easier to transfer files from an old Android device — or even an old iPhone. The new flagship is powered by a quad-core Snapdragon 821 processor, 4GB of RAM and a decently sized 2770mAh battery, which can quick charge up to seven hours in 15 minutes. The XL, naturally, features a much beefier 3,450mAh.The phones are rated at 13 and 14 hours of life on a charge, respectively. 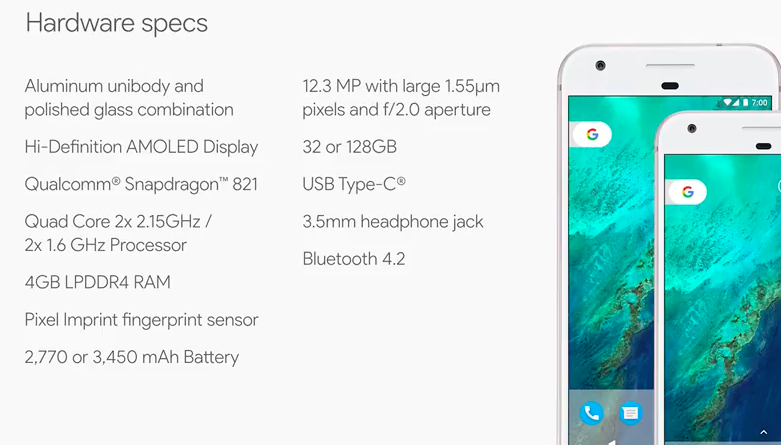 The Pixel ships with 32GB of storage standard, which users can chose to quadruple up to 128GB. There’s a USB-C port on the bottom of the device, and yes, the thing has a headphone jack (take that, other unmentioned smartphone manufacturers). Surely that’s all that “Google Magic” we were seeing in a number of those aforementioned leaks ahead of the event. And indeed, the new assistant performed impressively during the demo. The phone will also, naturally, ship with Google’s new messaging app Duo (and Allo) pre-installed. Both handsets will also be the first to ship with 7.1 — the latest version of Android Nougat (even while LG V20, the first handset to ship with 7.0 has yet to arrive at retail). Interestingly, the company has also built customer support directly into the Pixel — akin to the sort of help Amazon offers up on its Kindle Fire tablets via MayDay, complete with screen sharing. 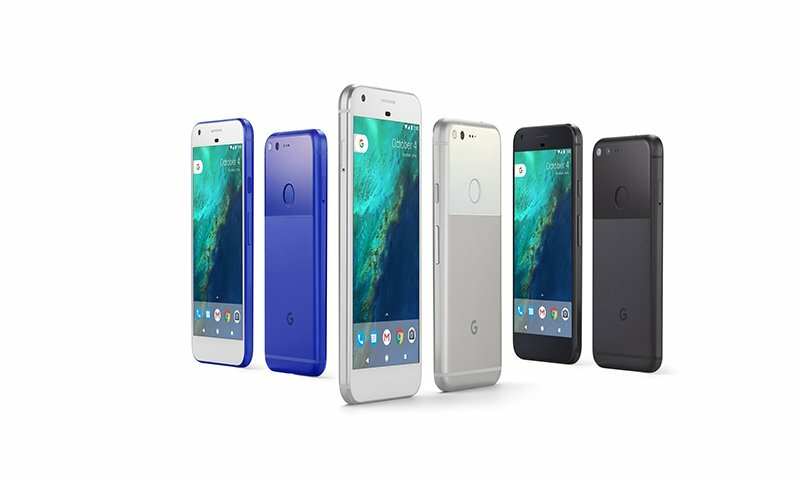 The Pixel comes in three colors –Very Silver, Quite Black, along with a limited edition Really Blue (really) version, which is exclusive to the US. Pre-orders for the new handsets start today in the US, Canada, and Australia, with buyers in India getting their chance on the 13. The base-level Pixel starts at $649 or $27 a month. Users can pick it up unlocked through Google’s site or tied to Verizon, the phone’s exclusive carrier here in the States. Google’s also got a whole slew of accessories available for pre-order, so you don’t scratch that lovely glass and aluminum surface. 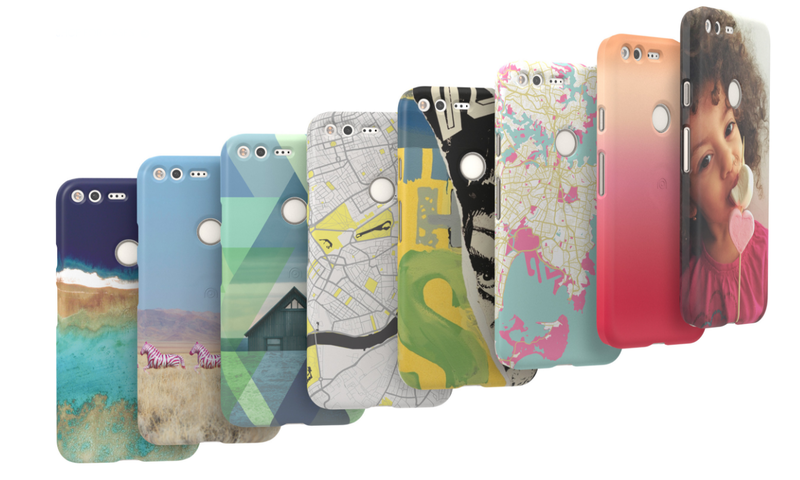 The page is now live, for your Pixel pre-ordering pleasure.